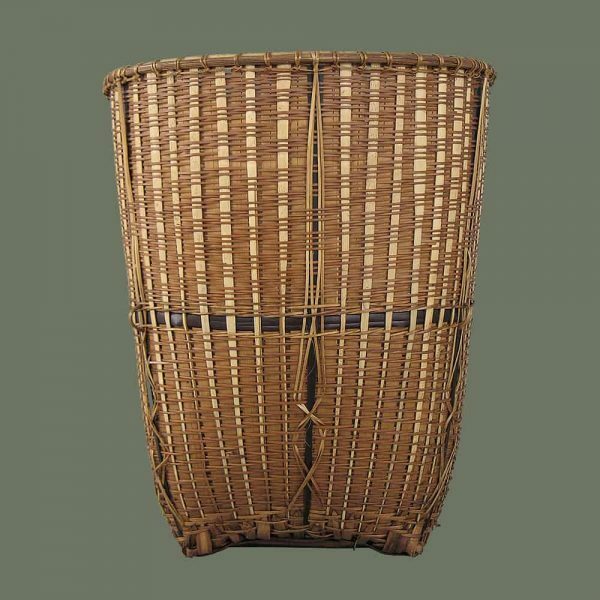 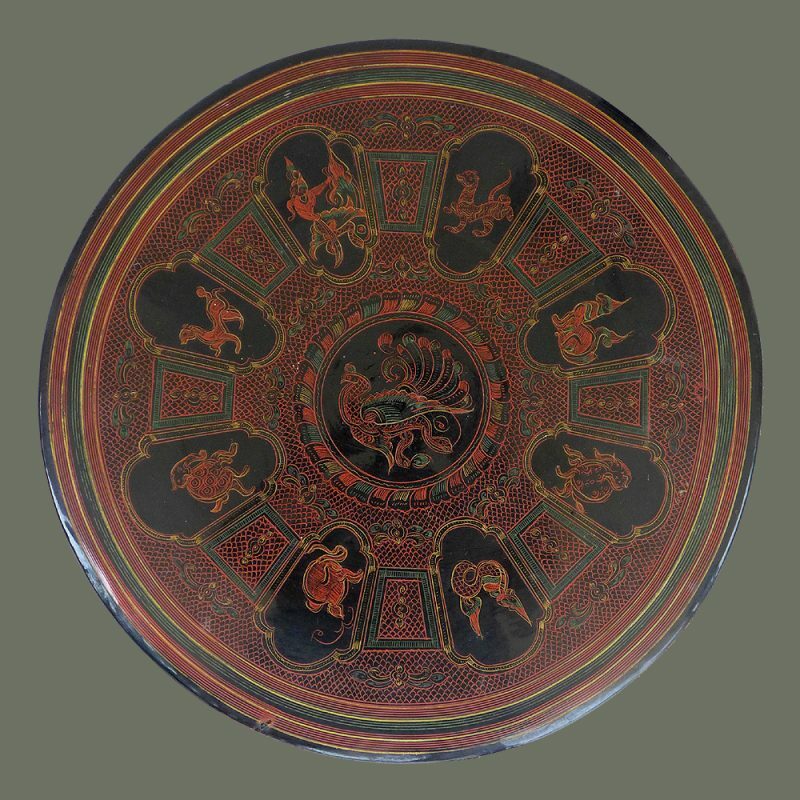 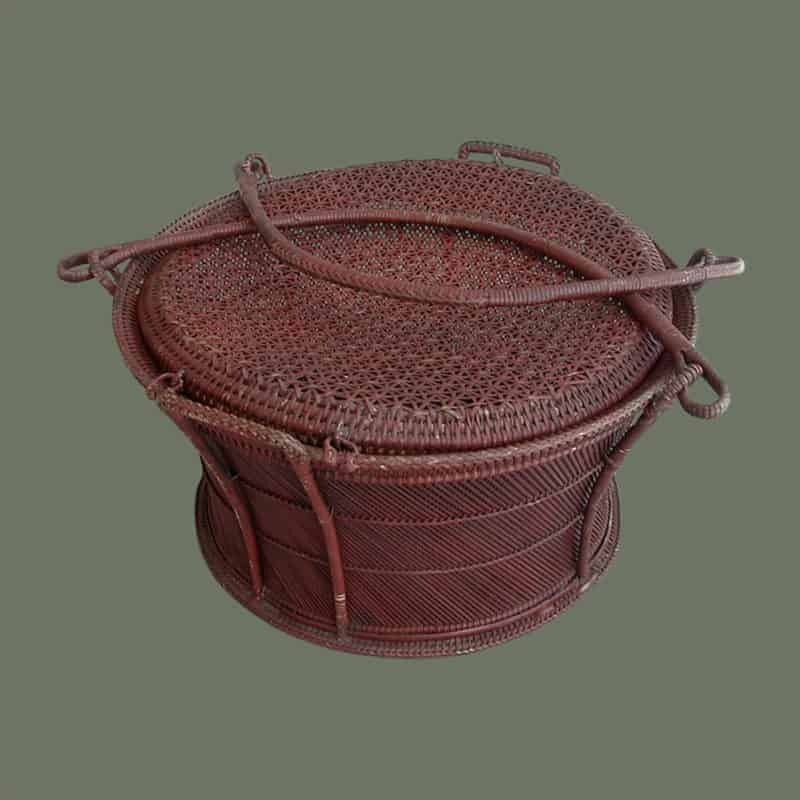 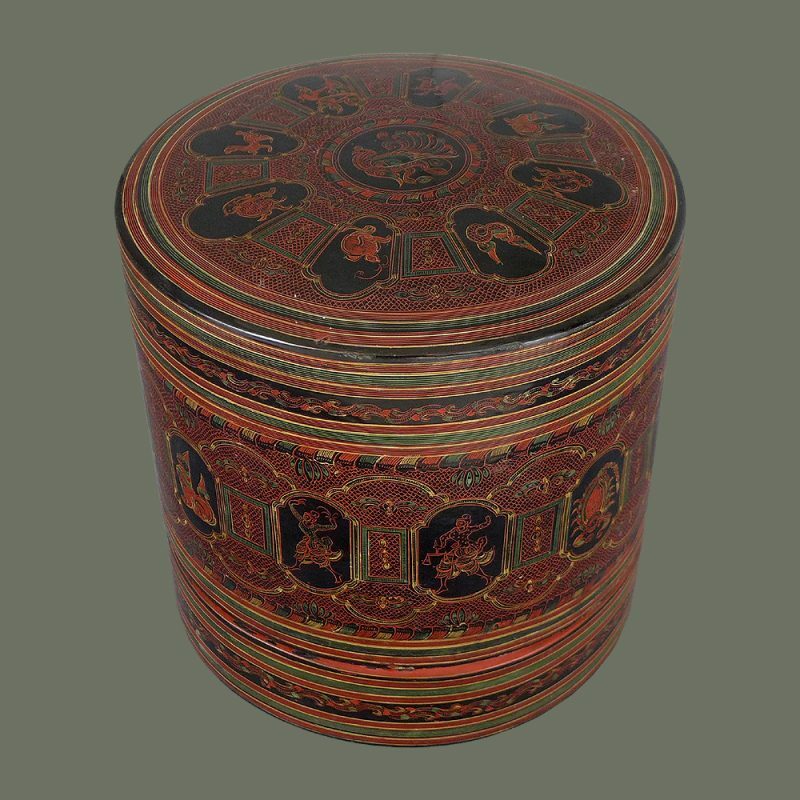 Full of nice details, this basket is from the Karen people and utilizes a variety of vines and bamboo in several colors. 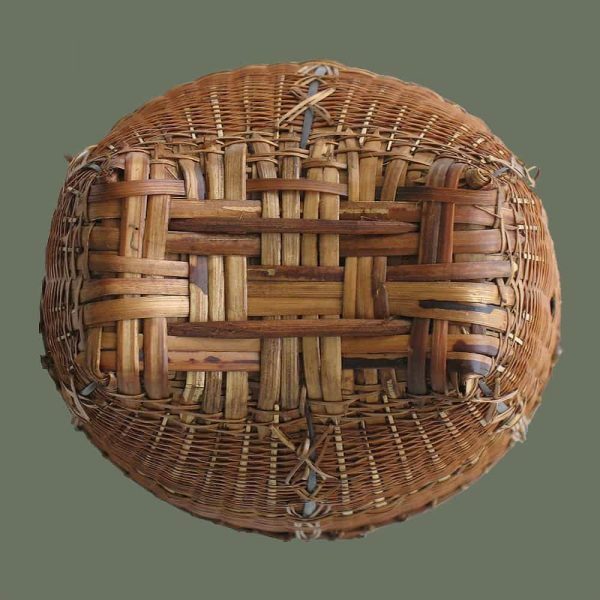 Different weaving techniques form different patterns which are quite attractive, and contrasting colors add to the effect. 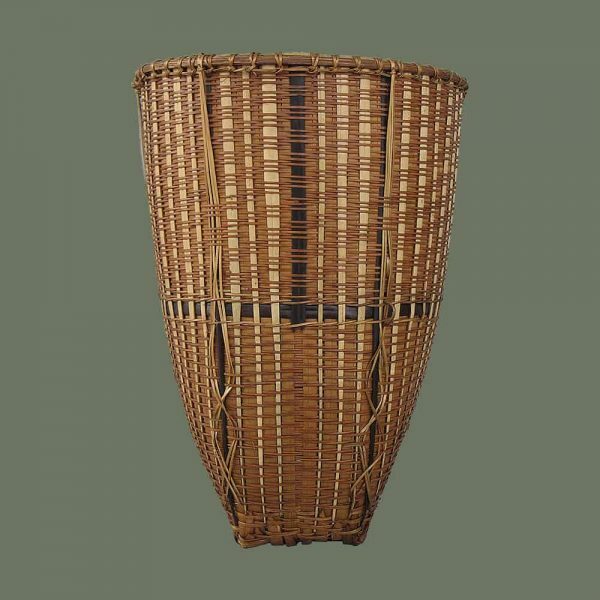 Note the use of four thin vines to ornament the sides, back and front. 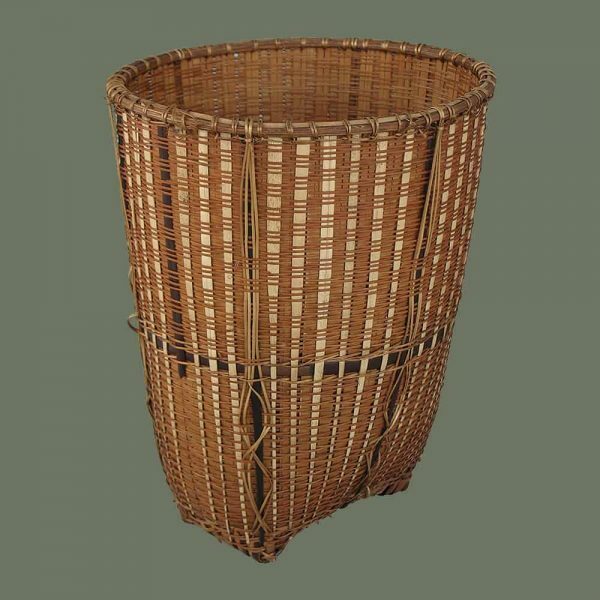 This basket was used for gathering in the forests. 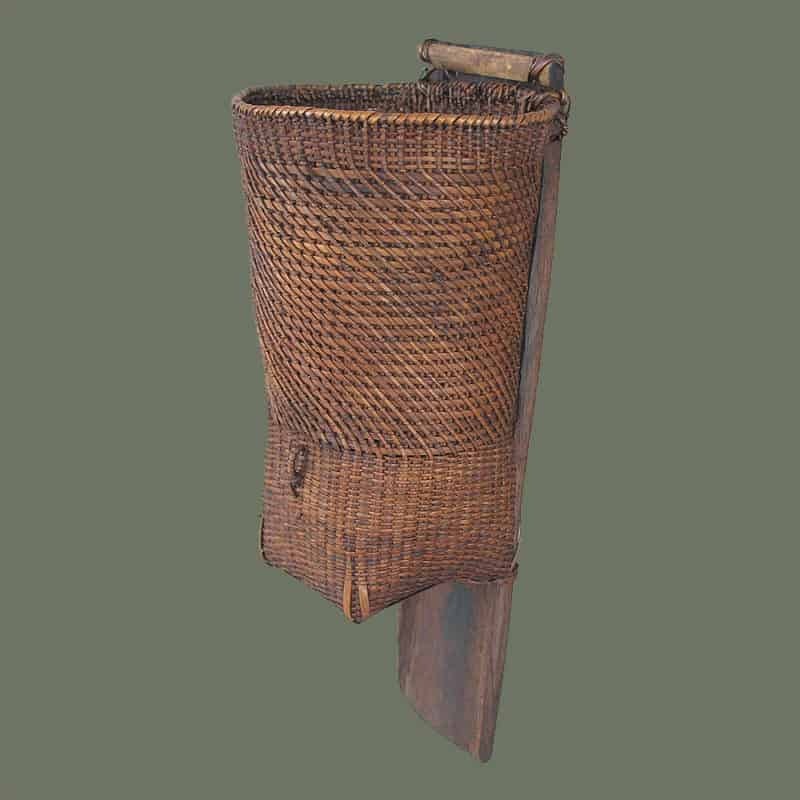 Condition is excellent, but it lacks the shoulder strap. 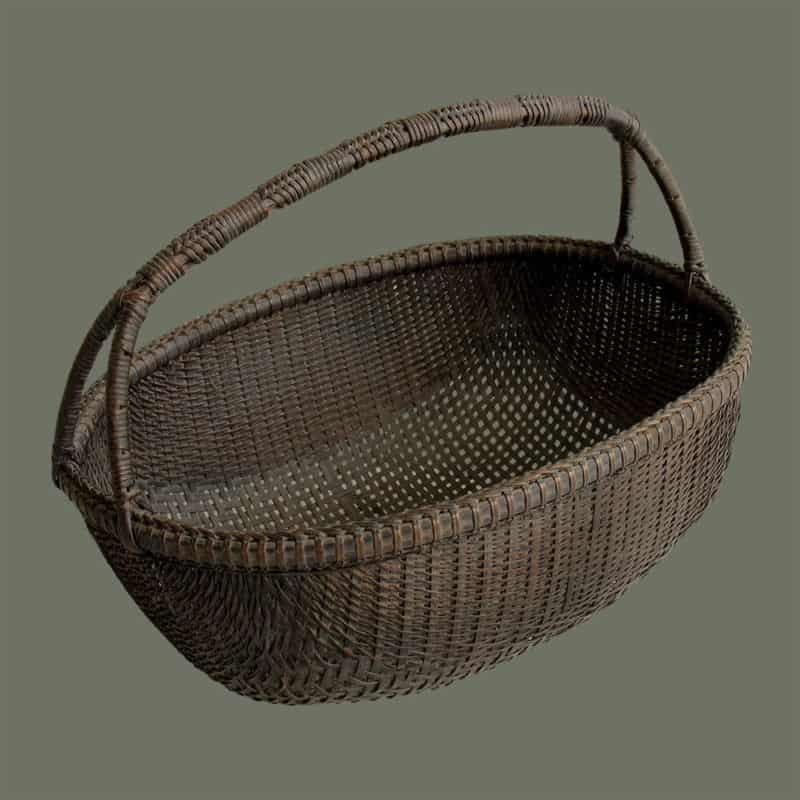 Size: Basket: 9.37″ h x 7.25″ dia.